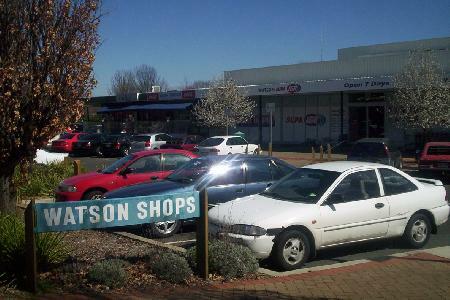 The suburb of Watson is conveniently situated in the northern part of Canberra on the Federal Highway coming in from Sydney. Watson is the perfect place to stay if you are looking for budget hotel or serviced apartment accommodation because it has a range of properties that are much more affordable than the accommodation in the Canberra CBD or close to Parliament House. However, because Watson is located on the main road into Canberra this means that all of the main tourist attractions, corporate and government buildings, the Canberra CBD and the Parliament House are just a short drive away. When you staying in the peaceful suburb of Watson you will discover that it has a laid back feel to it when compared with other capital cities in Australia. This is also found in the neighbouring suburbs of Mitchell, Hackett, Downer, Dickson and Lyneham. Within Watson you will be able to find hotel or self contained accommodation that will suit the needs of corporate travellers, government employees, families and even holiday makers. Within the suburb and just a short drive away in Dickson you will find that there are numerous quality restaurants, take-away outlets, trendy cafes, bakeries, boutique shops and parkland garden areas to enjoy. If you are looking for budget hotel accommodation in Canberra then you can;t go past the Red Cedars Motel. Ideally located in Watson this affordable property is ideally positioned within close proximity to Exhibition Park, the Canberra Showground and the Canberra Racecourse. When you stay at the Red Cedars you will easily be able to explore Canberra's many tourist attractions by car, including the National War Memorial, Parliament House, the National Library, Questecon and Lake Burley Griffin. The ibis Styles Canberra Eaglehawk is well positioned in Watson and is a truly unique accommodation resort because it is set amongst 30 acres of natural landscaped native gardens. The ibis Styles Canberra Eaglehawk is now one of Canberra's leading tourist, corporate and conference hotels. The ibis Styles Canberra Eaglehawk is situated 12km north of the Canberra CBD and is conveniently located within easy driving distance to several excellent wineries, the Australian War Memorial, Lake Burley Griffin and Exhibition Park. Only a short drive from the suburb of Watson the Australian War Memorial. This is a tranquil place where you can reflect on the wars of the past and pay your respects to the fallen men and women who have served this country over the years. If you take the drive in the Canberra city centre you will find the popular Casino Canberra. This attractions has an array of entertainment options ranging from fine dining, exciting nightclub, poker tournaments, various gamling games and even special events throughout the course of the year. Located in the heart of Canberra is the Royal Australian Mint where visitors will be able to find out all about the history of money in Australia and see the process involved in making coins. No visit to Canberra would be complete without a trip to the Australian National Botanic Gardens. Plant lovers will appreciate the extensive collection of natives trees, schubs, flowers and other plants that are on show at the gardens. Whilst staying in Watson you can watch one of the horse races that are held regularly at Thoroughbred Park on Randwaick ZRoad in Watson. Here you can feel the excitement as the horses race past and enjoy a bet on the races or a drink at the bar. Servicing the northern suburbs of Canberra the Dickson Shopping Centre is an extensive shopping precinct that has everything that you could possibly want whilst staying in Canberra. It is located just a short drive along Northbourne Avenue from Watson on the way into the city centre. The main Canberra racecourse is known as Thoroughbred Park and is located north of the CBD between the Federal Highway and Randwick Road in Watson. Thoroughbred Park holds regular track mettings throughout the year and is a great palce to get up close as the horses thunder down the straight. The Canberra Stadium is where NRL rugby matches are played in Canberra and is situated at the Australian Institute of Sport, which is conveniently just a short drive away from the suburb of Watson. You will find on the edge of Watson is the National Sports Club. The comprehensive sporting facility includes an indoor cricket centre and tennis courts, as well as having the ACT Netball Centre and Hockey ACT located right next door. This means that so many different sports are located right next to each other and provides travellers to Canberra with a great place to keep fit and meet other like minded people.